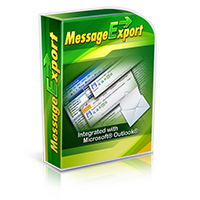 Extract and Convert Microsoft Outlook Email: MessageExport add-in for Outlook is updated. MessageExport add-in for Outlook is updated. This release delivers tested compatibility for Microsoft Oulook 2016. It has an updated help menu system and include fixes for various customer contributed issues. MessageExport add-in for Microsoft ‪#‎Outlook‬ is the premier tool for exporting, converting and copying Outlook ‪#‎email‬ messages to ‪#‎PDF‬ and many other formats. Convert emails in bulk, individually, or automate the email export process.